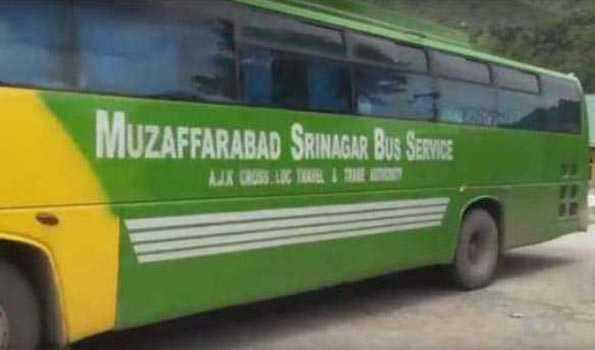 Srinagar, Feb 11: The Karvan-e-Aman bus, operating between Srinagar and Muzaffarabad, capital of Pakistan Occupied Kashmir (PoK) left on Monday to cross over to other side of the Line of Control (LoC) despite separatist strike call and below freezing temperature. The bus left Bemina, Srinagar, at 0730 hrs for Kaman post, the last Indian military post on this side of the LoC in Uri sector, official sources told TNN. However, there was no passenger in the bus, they said adding the bus has since reached Trade Facilitation Centre (TFC),where passengers will board it before leaving for Kaman post. The number of passengers travelling to PoK in the bus will be known in the afternoon, they said adding similarly guest travelling from PoK will be known in the evening. The number of passengers from PoK goes down during winter when the mercury goes down below freezing point and increases in summer when the weather remains pleasant. Similarly, number of travelers from Kashmir increases during winter and goes down in summer.